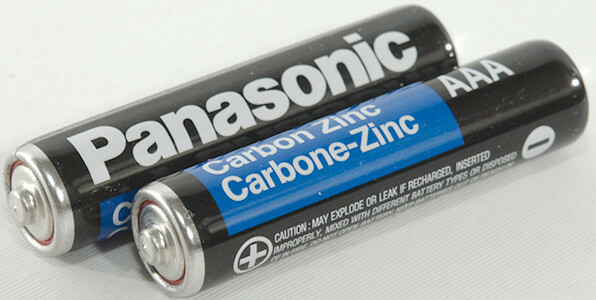 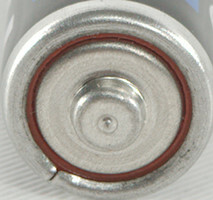 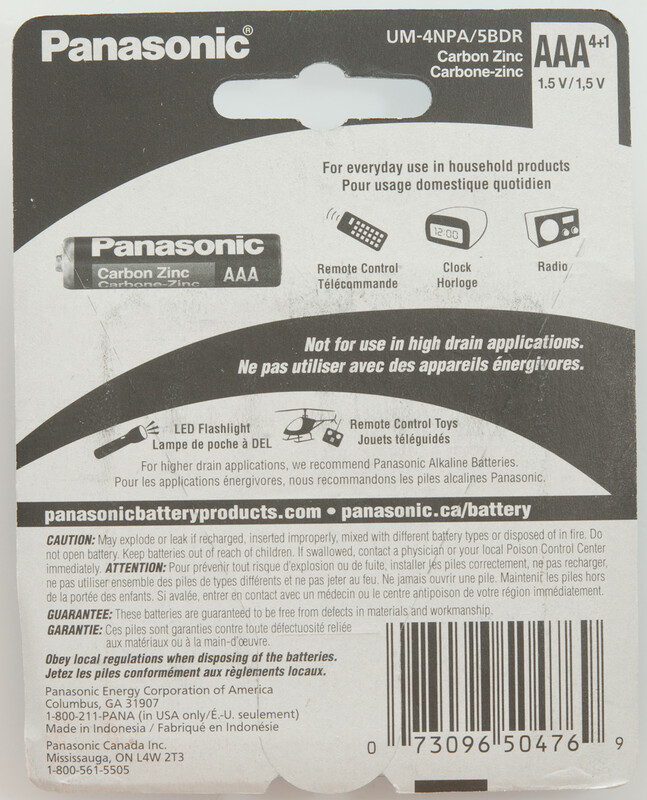 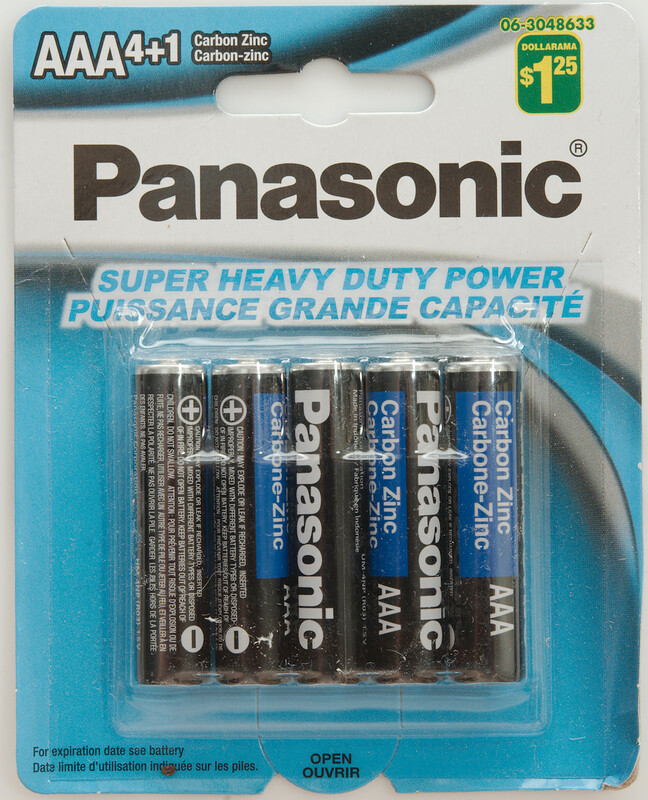 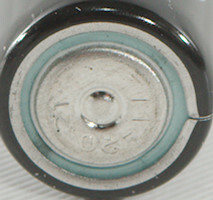 Carbon-Zinc AAA batteries from Panasonic. 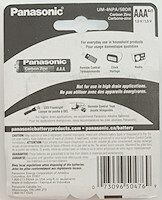 This type of batteries has a rather bad performance. 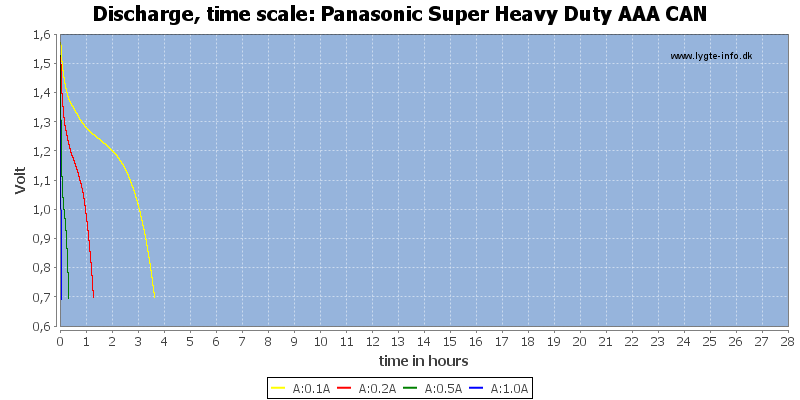 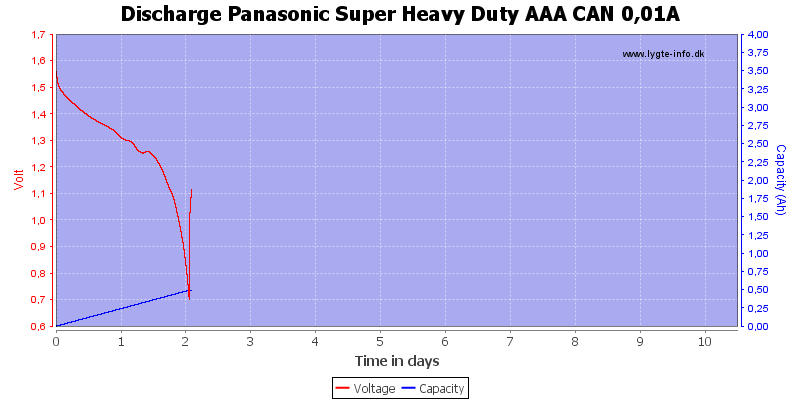 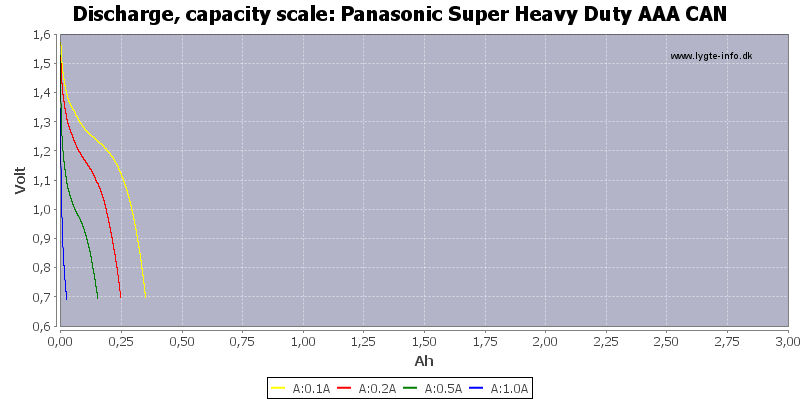 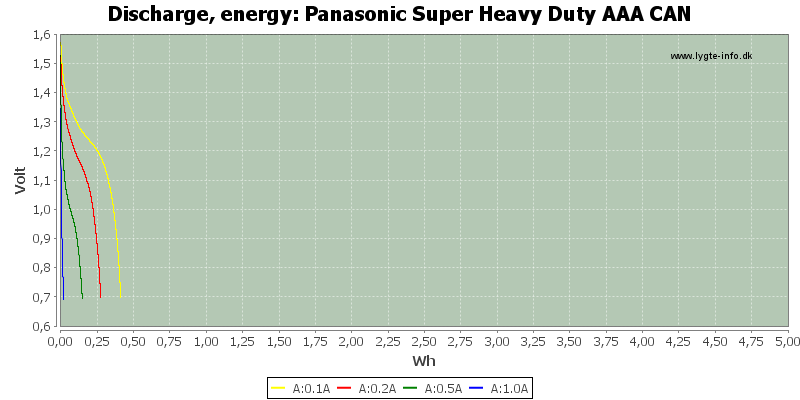 Even at 10mA discharge the capacity is rather low. 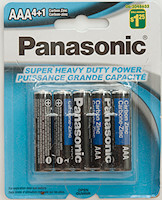 This type of batteries may be very cheap, but the energy contest is also very low and they cannot deliver much power.